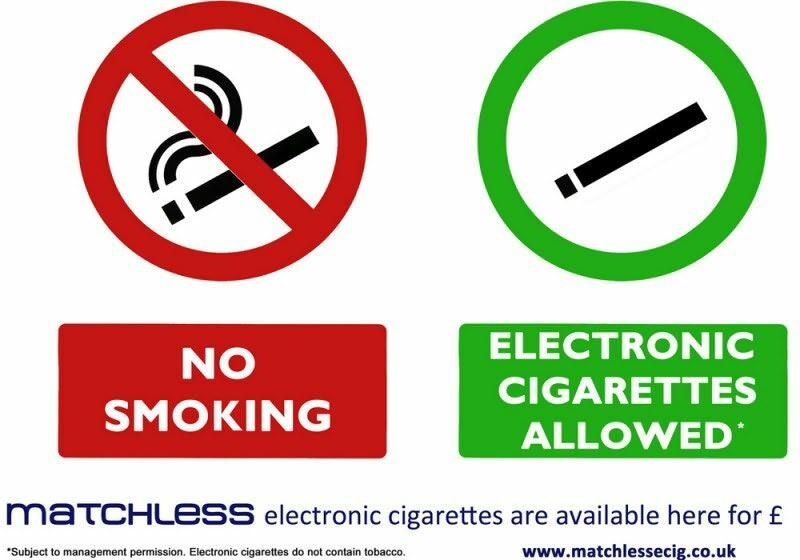 A4 size sign communicating that tobacco smoking is banned but use of Electronic Cigarettes is allowed (subject to management permission). Printed on thick, good quality card - ideal signage for pubs, clubs etc. Over 500 of these signs already in use by the trade. No e-cigs are included.